When a migraine strikes, it can be crippling. Intense and sharp pain not only at the temples, but radiating throughout the entire head; feelings of nausea and digestive discontent; an unbearable aversion to light, sound, and even the smallest of movements. Instead of succumbing to the incredible pain of migraines, you can get through your day with the right relief. 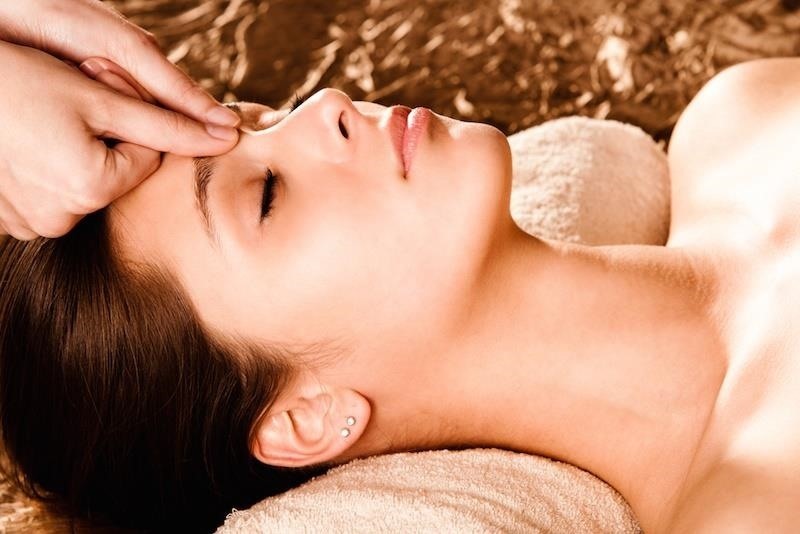 These ten tricks may help you soothe the pain of intense headaches without any prescriptions. Though you probably haven't sipped grape juice in years (aside from "adult" grape juice, that is), it's the perfect go-to remedy when a migraine strikes. According to First Choice Smart and Home-Cure, grapes are an excellent pain reliever. 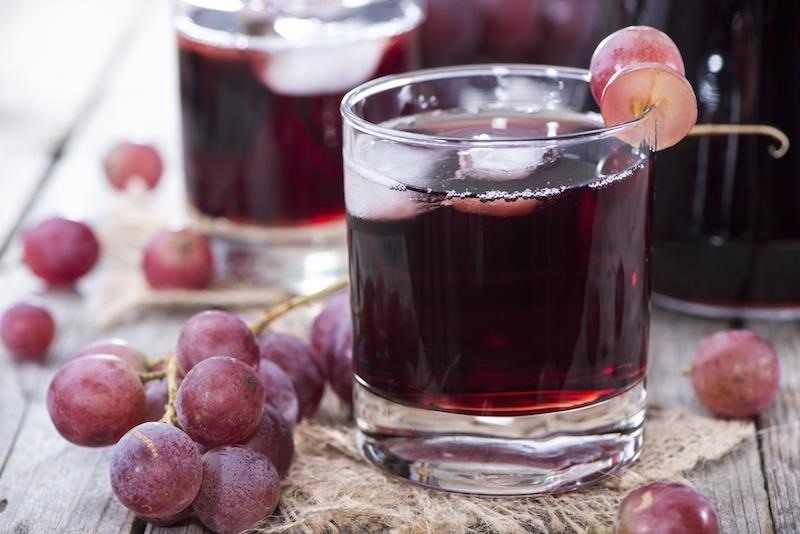 Take a drink of all-natural grape juice (avoid sweetened kinds), or create your own at home to find relief. Blend fresh, ripe grapes with a bit of water, and you'll drink your discomfort away. If you suffer from migraines on a regular basis, consider making one small switch to your diet: more nuts. 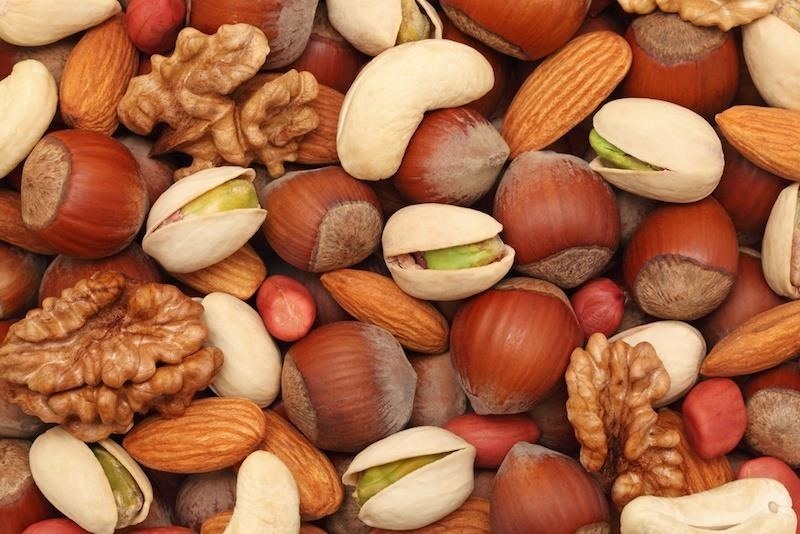 Nuts can work as both a pain reliever and a preventative method to stave off future onsets. As Everyday Roots writes, many varieties of nuts (specifically almonds, water chestnuts and peanuts) contain the compound salicin (also found in willow bark extracts). Salicin is a pain-blocking agent that the body turns into the active chemical in aspirin. If you don't want to reach for over the counter pain relief, try eating some almonds when a headache strikes. Although it may feel as though your head is under an incredible amount of pressure and pain, getting in touch with certain pressure points on the body can alleviate your discomfort. When you begin to feel the first tinges of a migraine, place a bit of pressure on your craniosacral system. By pressing with your fingers on certain migraine-specific spots, you can force your brain to relax and rest, restarting it from a pain-free place. Though it increases pressure in the cranium, it works to send the tension that's building in your brain elsewhere. Check out Acupressure's Potent Points: A Guide to Self-Care for Common Ailments for more on using acupressure to relieve headaches and migraines. Ever tried chewing on a piece of ginger in its natural form? You may want to try it after hearing about its pain-relieving powers. According to Everyday Roots, ginger root affects the way our body handles inflammation and pain. When we ingest ginger root, it sparks the production of lipids within our cells—and lipids work to calm the nerves that react when we feel pain. 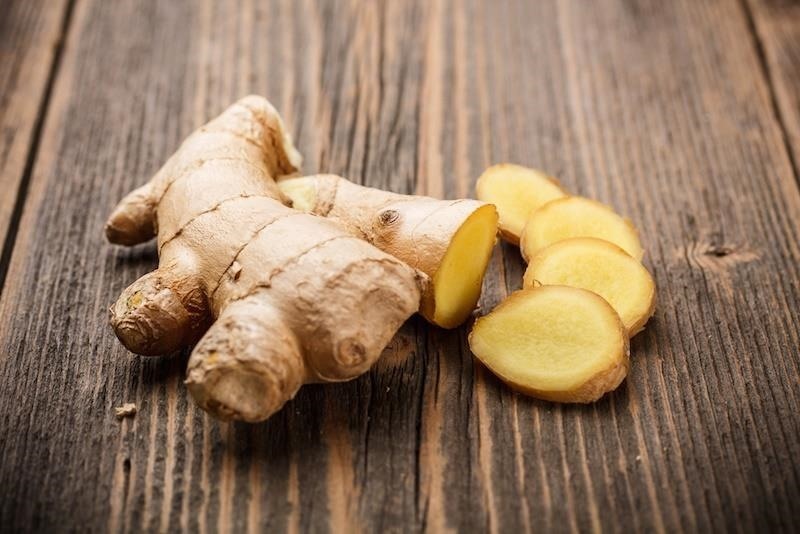 Ginger root stops our body from recognizing and responding when migraines occur and can soothe nausea. All you need to do is chew on a piece, or sip some ginger root tea. 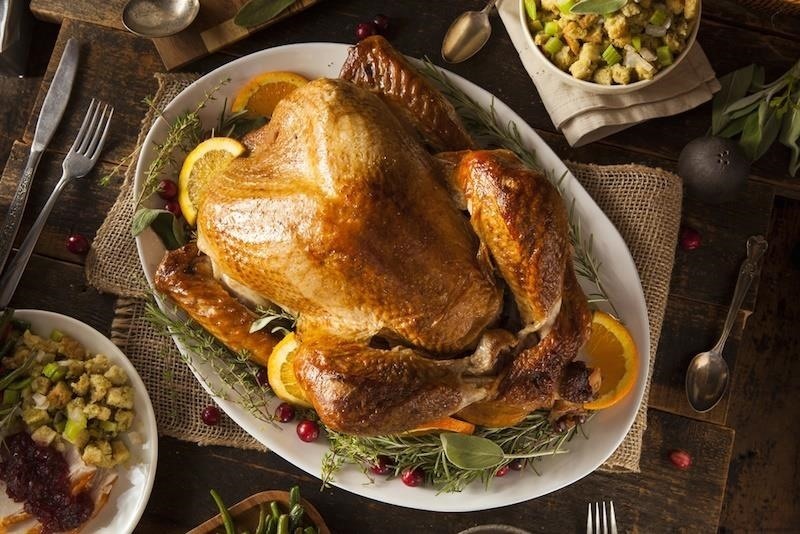 You've heard that eating turkey on Thanksgiving can make you sleepy thanks to its tryptophan. Did you know that it can also help you to find relief from migraine pain faster? Tryptophan is an essential amino acid that stimulates dopamine in the brain. Dopamine is the "happy" chemical, one that helps us to feel great, and it is also a key component in the release of serotonin within the body. Serotonin works to relax the body, alleviating anxiety, worry, and negativity. Even more importantly, as tryptophan helps to produce dopamine and, in turn, serotonin, it relaxes the muscles surrounding the brain, soothing the capillaries of the scalp. A regular massage may seem like a luxury, but when a migraine strikes, it can be the best way to relive all that's built up in your head. Learn how to give yourself a calming and pain relieving massage, and you can prevent your migraines from growing worse, quickly. As you stretch and massage both the neck and the base of the scalp, you will stimulate blood flow and relaxation, sending the pain away from your head. Check out Theory & Practice of Therapeutic Massage for more on how to relieve the pain of headaches and migraines through massage. There are two tried-and-true methods that most of us turn to when facing an injury and its pain: hot or cold therapy. While it might seem odd to consider placing an iced or heated pack on your head, it can make all of the difference in just a few minutes. As Stress Knots and the Mayo Clinic both recommend, simply choose which works best for your migraines. When you apply heat, your muscles will relax, and pain will lower. If you choose icy cold, you will numb the areas most in pain to all that they are feeling. 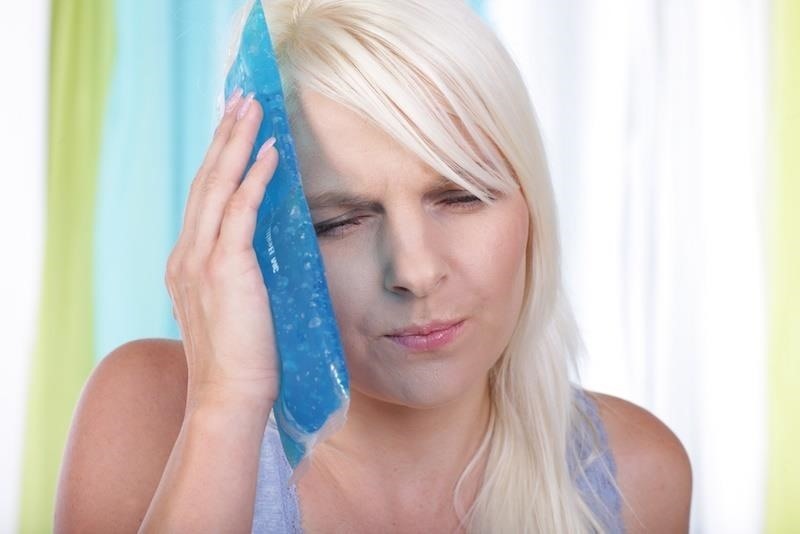 Try out one of these headache hat or other ice pack headbands — keep the included ice pack in the freezer so it's cold when pain strikes. If heat works for you, try this moist heat headache wrap or eye mask. Although it may be painful to consider heading out into the sunlight when you're struggling to stop a migraine, getting close to nature can help—if you have an herb garden nearby. Ginger, peppermint, and cayenne can provide some natural pain relief and can treat both a headache and nausea that often comes with a migraine. 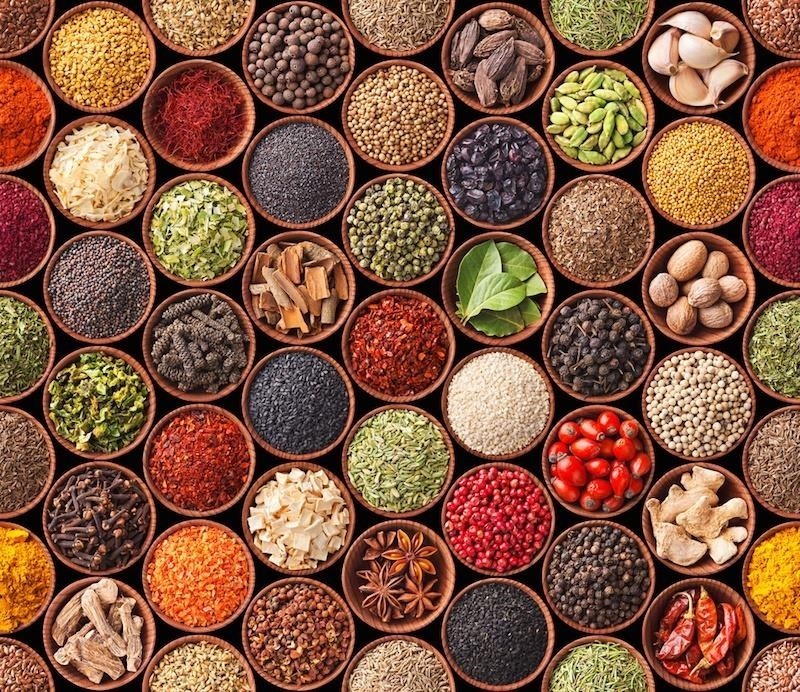 As Food Matters writes, ingesting these herbs offers the fastest relief. Create an at-home herbal tea by mixing cayenne pepper, fresh ginger, and peppermint leaves and steeping them in hot water for 15 minutes. If you aren't a fan of hot tea, you can also create a migraine-soothing lemonade mix that combines lavender and lemons into one healing remedy. Light is painful when you're suffering from a minimal headache, a hangover, and especially a migraine. Its brightness can trigger an even greater head pain, so don't be afraid to turn things down a bit. As mentioned at ZeroWays, sensory stimuli can make migraines worse—and bright lights are one of the most problematic of these. To achieve quick relief, shut out as much light as you can. Turn down the brightness by shutting off the lights in the room you're in, and make sure to close the blinds or curtains. 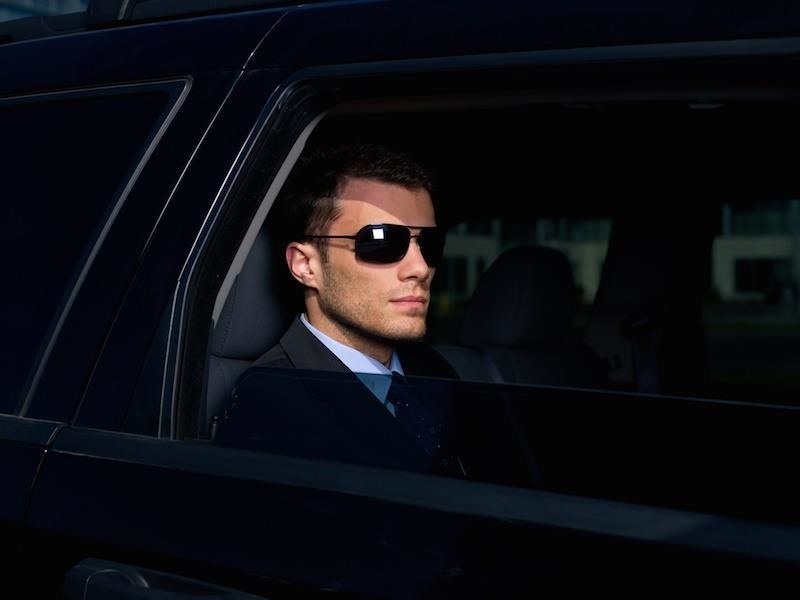 If you're in need of even greater help, don't be afraid to wear sunglasses, either indoors or out. The lenses can protect you from both natural and unnatural light. You could even grab a sleep mask to block out the light and lie down for a little while. 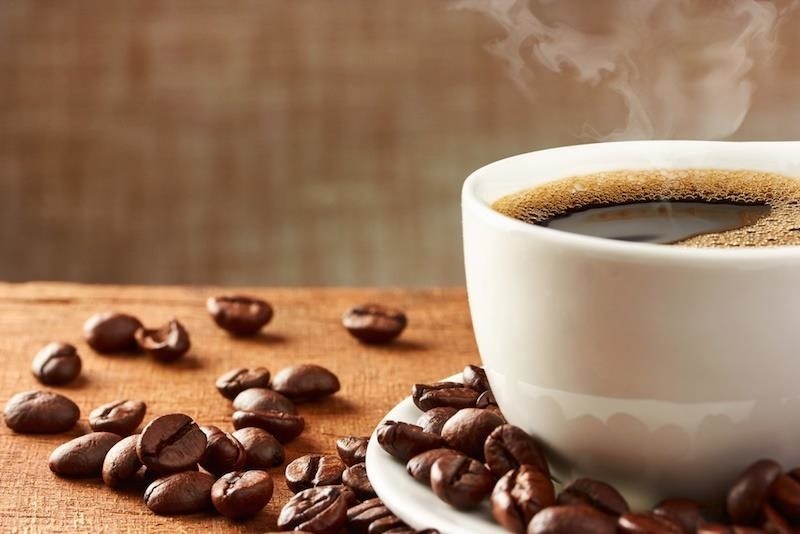 Although caffeine can cause headaches of its own in large amounts, a small dose of a beverage like coffee or soda can soothe the pain of an intense migraine. When you drink caffeine, it can offer pain relieving benefits—as long as you drink just a small amount, as the Mayo Clinic notes. If you drink it right when you feel a migraine beginning to appear, it can also improve the effects of Tylenol, aspirin, and other over-the-counter pain relievers (Excedrine Migraine includes caffeine for this reason). Whatever you choose to calm your intense migraine pain, keep track of what you eat, drink, and do when you get them. Finding the trigger to your headaches can help you avoid them in the future. Avoiding certain foods, ingredients, and activities, you can keep migraines at bay and not have to endure their awful reign. I also suffer with migraine. When I get migraine headache i do pranayama and it will subside. I have migraines everyday I would try epsom salt bath with a hot or cold pack on your neck and take magnesium. I would also try sports tape. And someone pressing down on your shoulders. A friend of mine use to get them all the time then she got the inner little flap of her ears pierced. She says it helped tremendously. Have a piece of ginger tucked into your left cheek, and slowly eat about a cup of salty almonds and every other bite, chew some ginger in with the nuts. Then have one cup of coffee. The pressure will remain, but not the death-wishing pain. Mix grape juice, nuts, ginger,turkey, peppermint,cayenne, Coca Cola, and coffee in a blender with ice. Drink this mixture in a dark limo, wearing sunglasses, with both a warm towel, and and ice pack on your neck. This is the ONLY thing that works for me. Great idea best one I've ever heard ???? I suffer from migraines and everything I try does nothing for me. When I get one it last 3 to 4 days and makes me so sick that I throw up and everything. When I sleep it goes away but then a few minutes after I get up it is in full force again. Any recommendations I can try to help me? I do not like pills so that is out. Actually I have a migraine now and this is day 2 and I am so sick. I have the sameness problem that she doesn't and and my doctor gave me medicine and I to doesn't work and he told me that an MRI wasn't needed. Nothing hasn't helped me so far. I just wish I could releive some of the pressure and pain . I have treatment-resistant chronic migraine diagnosed by numerous doctors. My migraines can last up to 7 days and I have migraines over 20 days a month, it's actually more common than you think. I take botox treatments every 3 months now. I may have a migraine maybe once or twice during that whole time period between. But I used to get them then they would last for a few days sometimes longer. I'd be ok for a day or 2 then back with another migraine. No meds helped. Honestly now if I get a migraine I can take Excedrin migraine and a hot cloth to ease it most of the time. Which did not work without botox. I have the same thing going on. I have to just sit at home all day and night. The meds my nurologist gives me just knocks me out,but doesn't help get rid of my migraine. I also feel nauseous most days. I throw up often. I had the same problem for years I got migraine at least twice a month and would be down for 3days at a time. I now rearly get migraine I cut out cheese and sugar I also cut down on tea/coffee. I am prone to get migraine with pressure of the full moon so it's hard to avoid every trigger. I go for Reiki treatments regularly and I also go for Amatsu. I am a Reiki practioner so like you I don't like pharmaceuticals. Now if I get migraine it is mild in comparison. Hope this helps ?? I have itching on my back, stomach and side, especially just before I go to sleep and when I am sleeping. I use Foderma serum and it definitely helps a lot. It reduced or eliminated the itching. So if you have a problem like this, I highly recommend it! Right now, i'm suffering from migraine. My eyes itch so bad, so how do I cure this? I find that acupucture works by far more than any medication on the market. I should know i tried everything on the market. Botox injections on the back of the head in several appointments did help but not like acupucture. 1 capsule vitamin E and 1 capsule B12 in the afternoon. Every day, the advice came from a neurologist in california who advised a family member. Is der any hair fall bcoz of diz migraine headache..
You should consider getting a daith piercing in one or both ears. A friend suffered for years with debilitating migraines and just had hers done about a month ago. No more headaches! She tried everything before that. It's the flap of cartilage in the top part of your ear. Look it up to be sure what I'm talking about. Try it and let us know if it helps! Thank you so much for posting this. I occasionally get migraines that last until I go to the er and get an IV. I looked up this piercing and tried pinching that stop. Its amazing, I had instant relieve. Thank you!!! i am 14 years old and i have depression and i am going throu alot and i have been crying alot and like it can be an hour in a half after i cry and i will get a huge migraine and like it can be days were im not crying i can just be sitting there and all of a sudden get a migraine and i dont know what to do. CAN I GET ADVICE PLEASE!!!!!!!!!! The caffeine + pain reliever is working well for me right now, thank goodness! Just got to work and felt an aura coming on. Had trouble looking at my computer screen. Took 3 ibuprofen and drank a cup of coffee and the aura is subsiding. Still have a dull headache, but I think I can continue to work. I highly recommend this combination if you don't have access to Excedrin! Ibuprofen + Caffeine is working! I was wondering if Migraines could be genetic? My mom, Younger brother and I all get them. I was also wondering if there was any like, Little kid help to stop them or even ease them. My younger brother gets them really bad sometimes to where if he had any plans for the day their ruined.